We started as an authorized dealer in 1977. Building a strong relationship with one of the leading milking equipment producing companies in the world put Avila Dairy Equipment in the forefront of the dairy industry very quickly. Technology, quality, and amazing technical support made BouMatic the perfect partner. 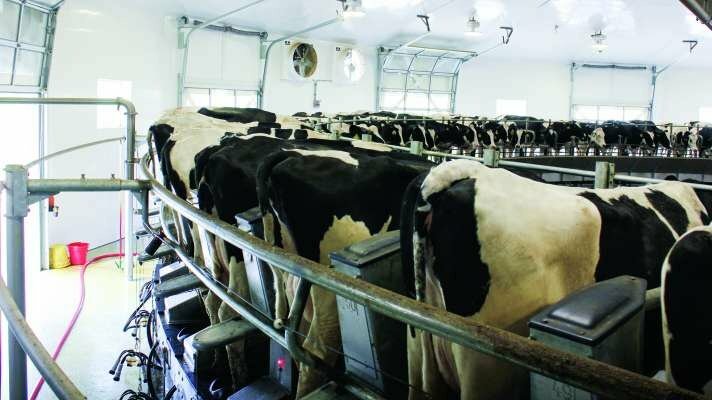 Over the past 40 years with BouMatic we have installed many milking parlors including; Bulk Cooling Tanks, Automated Milking Systems, and Integrated Computerized Management. BouMatic Stalls are the “Go To” stalls all over the world. Avila Dairy Equipment, Inc. has installed their Herringbones, Parallels and Rotaries throughout the San Joaquin Valley. Dependability and efficiency make these parlors unsurpassed in their field. The Xcalibur 360EX is designed for continuous, around-the-clock milking. Its rugged and precision engineering deliver unrivaled throughput and maximum efficiency for your dairy operation. The Xcalibur 90LX is a Parallel stall that goes beyond rugged to set the industry standard. It is built with power and strength coupled with attention to cow comfort that makes it a true BouMatic Xcalubur stall. Milking efficiency is of primary importance in the dairy industry. BouMatic offers a multitude of top of the line products that will fit every nuance of your dairy requirements. From Variable Speed milk pump controls, Vacuum Pump systems, Milk Pumps and all aspects of the milk delivery system, BouMatic has the product for you. The OptiFlo CF is a true variable speed milk pump control that gives you the ultimate in cooling system efficiency. The OptiFlo optimizes the milk flow rate through the plate cooler for the best cooling performance. Variable Speed Controls will significantly cut energy costs by equipping their vacuum pumps with these units. The variable speed drive can speed up or slow down the vacuum pump to produce just the amount of airflow needed at any given time during milking. With technology becoming ever more present in today’s milking parlors you have to have a management tool in place that’s easy to use and reliable. BouMatic has been on the forefront of this technology for decades. They offer several varieties of information systems that will give you the details you want or the overall summary you desire. SmartDairy is designed to answer two major business requirements; first offering the best management decision tool and second to allow that tool to grow with you. It is a modular platform with a very sturdy and reliable foundation, whether you have an industrial dairy farm or a family farm. HerMetrix as part of the SmartDairy provides you with the total-cow picture you want and need to make fast and effective management decisions. HerMetrix interfaces with all major parlor management software programs, ensuring herd data is available whenever you need it. Cooling systems have to be rugged and efficient in the rough environment of a dairy parlor. The many available systems from BouMatic make for an excellent choice for any dairy configuration. 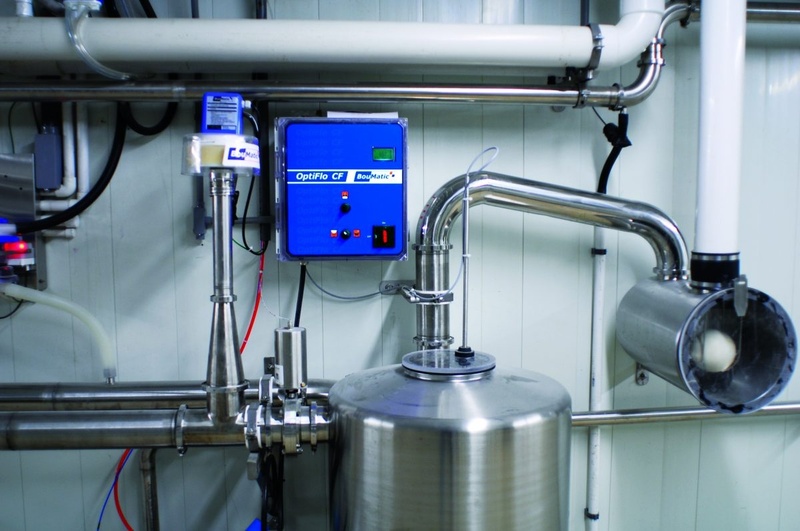 From programmable cooling and cleaning control systems, alarm and monitoring systems, and intelligent systems to hold milk temperatures regardless of any flow-rate, BouMatic has the equipment. 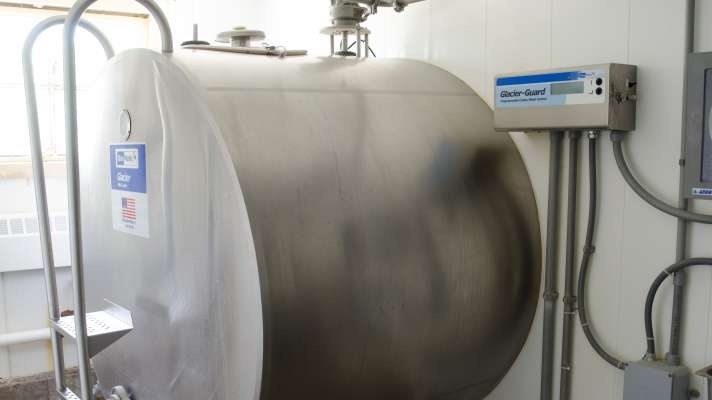 BouMatic’s Glacier Guard is a programmable cooling and cleaning control for your bulk milk tank. Custom programming allows you to achieve the specific needs of your dairy, based on the size of the cooler and the way the dairy operates and available CIP water supply. The Glacier Milk Coolers deliver the industry’s most advanced design and engineering for smooth running dependability. Built with precision-engineered evaporator plates, the Glacier delivers the perfect balance of maximum cooling, consistent pressure drops, uniform refrigerant distribution and efficient oil return. Automated Clean-In-Place systems are an integral part of every dairy. BouMatic offers several solutions that will work in any environment or type of dairy in the market. From Washers, Jetter Cups, Wash Vats and Air-Injector systems there is a system available that will fit. The Guardian II automatically cleans and sanitizes your system after each milking shift. 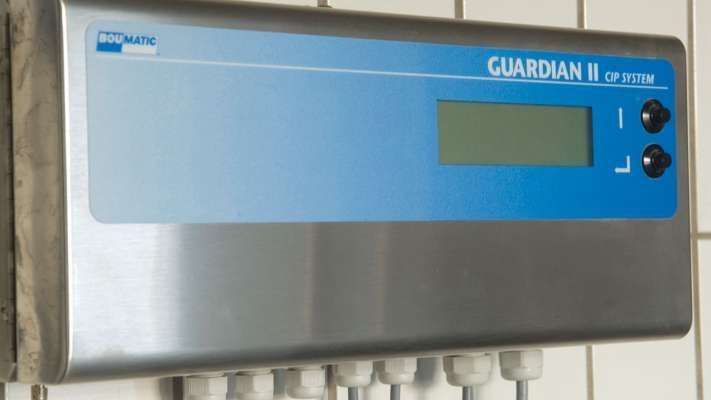 The Guardian II combines the actions of an efficient wash controller with the security of an internal monitoring system. The Cyclone air-injector system produces soil-loosening turbulence and slugging impact for high-velocity milk line cleaning. It can be used on any existing wash system.